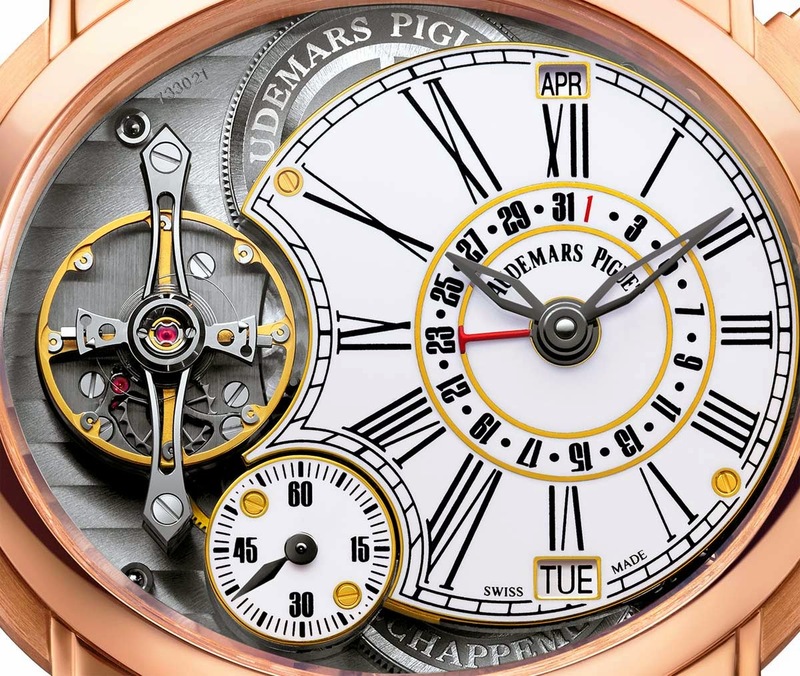 A SIHH 2015 novelty, the Audemars Piguet Millenary Quadriennium introduces a new quadrennial calendar which requires to be adjusted just once every leap year. 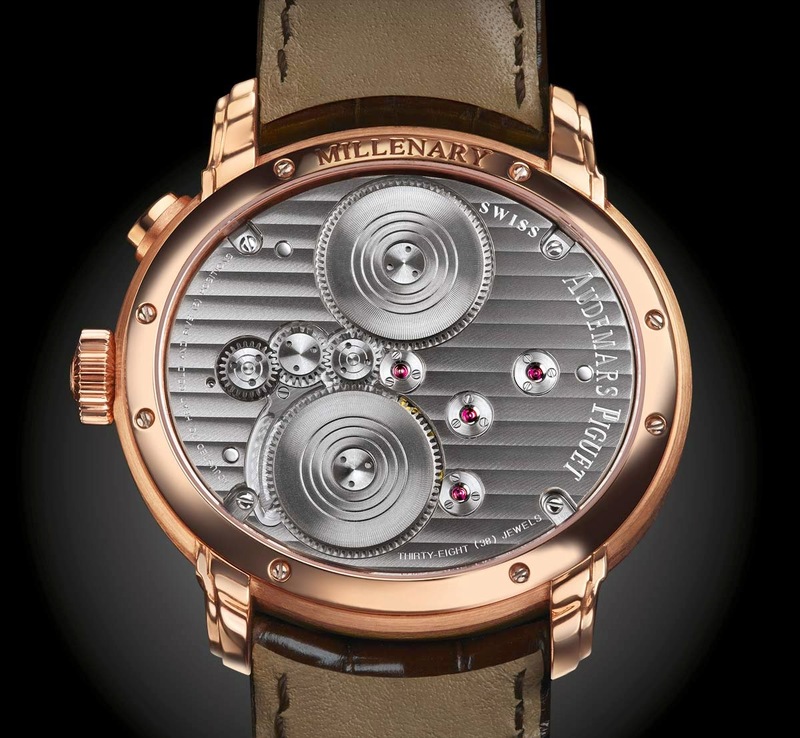 The signature oval case of the Millenary, originally designed by Emmanuel Gueit (who also designed the Offshore model for Audemars Piguet), is here made of 18-carat pink gold and frames a precious gold white enamel dial with black Roman numerals and blackened gold hands. The day of the week and the month appears in two apertures at 6 and 12 o’clock respectively while the central red hand points the date. The small seconds counter is positioned between 7 and 8 o'clock, just below the Audemars Piguet escapement and double balance spring which ensures the highest precision. 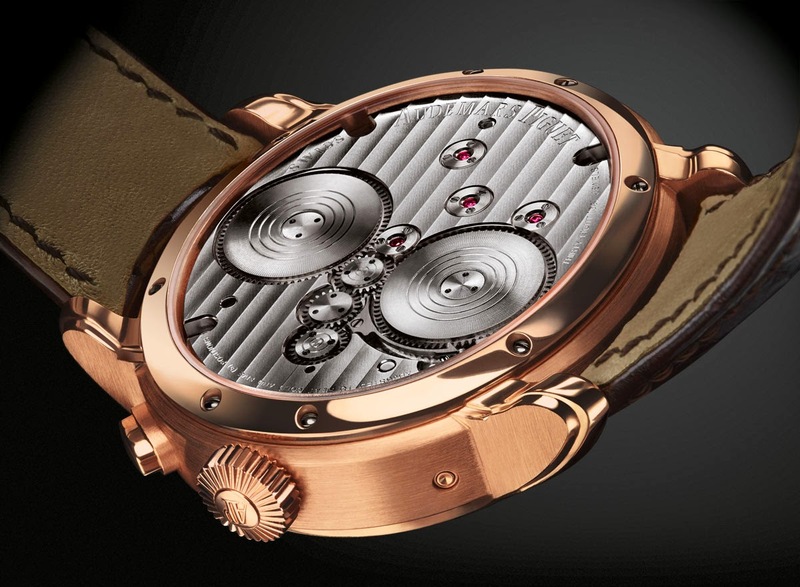 The hand-wound manufacture Calibre 2905/B01, comprised of 324 parts, beats at 21,600 vibrations per hour and offers a power reserve of 168 hours. 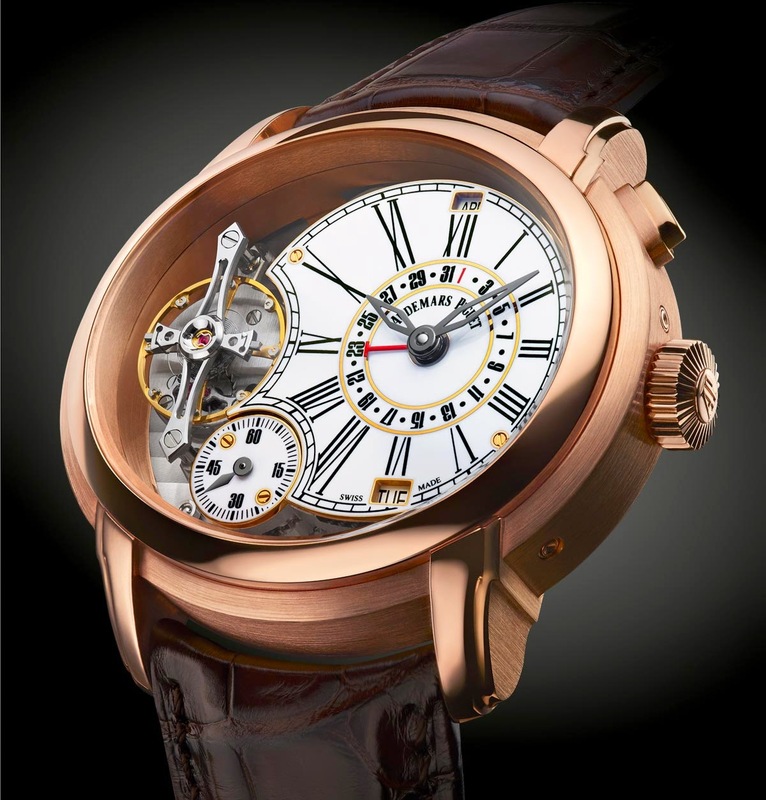 SIHH 2015: Audemars Piguet - Millenary Quadriennium. 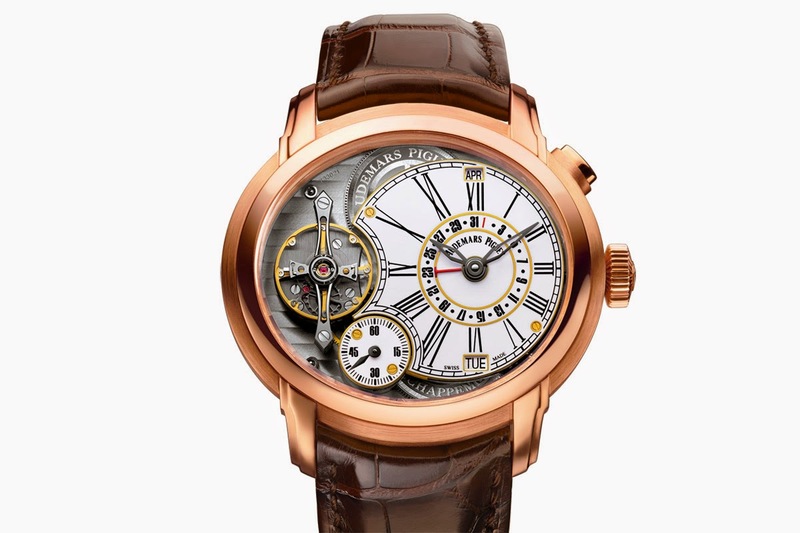 A SIHH 2015 novelty, the Audemars Piguet Millenary Quadriennium introduces a new quadrennial calendar which requires to be adjusted just once every leap year The Audemars Piguet Millenary Quadriennium (ref. 26149OR.OO.D803CR.01) is completed by a hand-stitched large square scale brown alligator strap with a pink gold AP folding clasp. .